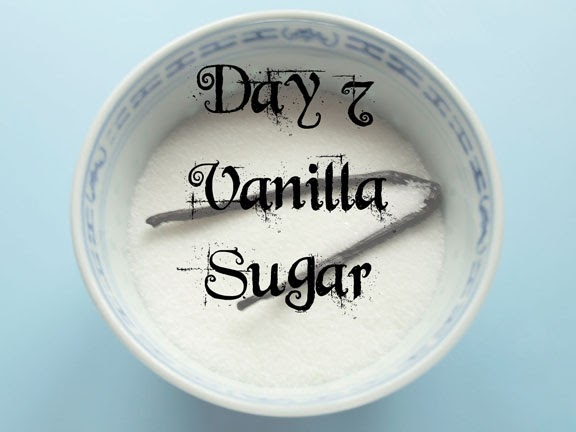 Day 7 of Twelve Days of Christmas is a simple sugary concoction…. Half fill the jar with sugar. Split the vanilla pod down one side and gently prised it open. Place the pod in the jar and fill to the top with rest of the sugar. Leave in a cool dark place for the vanilla to infuse the sugar. Top up the sugar when needed and replace the vanilla pod every year. You can also add extra vanilla pods if you want to increase the intensity of the flavour. 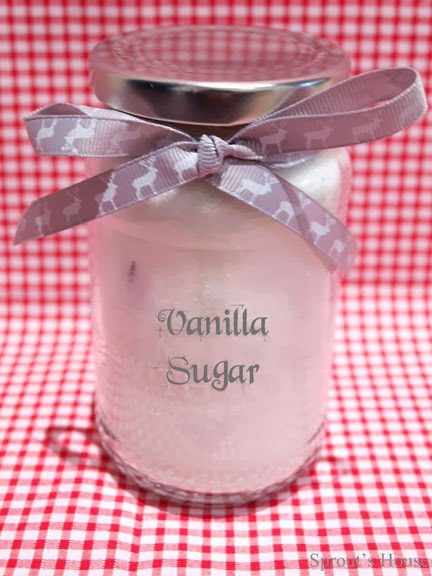 Vanilla sugar can be spooned into tea, added to baking (sweet) recipes instead of normal sugar, used to add extra flavour to vanilla ice cream recipes, sprinkled over porridge, cakes and desserts. Vanilla is also known to be an aphrodisiac……so why not add a bit of sweetness to someone’s Christmas! What a fun idea! I love this!! It would make a great last minute holiday gift! Thanks for linking up to Saturday Night Fever - pinning this now!